Unsure of what to get your love this Valentine’s Day? We all know about those traditional gifts common in American movies, but let’s change it up this year! Get into the spirit with these love-themed options. Nothing is more traditional than a gorgeous bouquet of roses on Valentine’s Day. They’re the perfect way to express your Valentine’s love. However the price of a florist’s delivery these days combined with their disappointingly short lifespan makes us think there is a better way to utilise the rosy-romance. Here are the perfumes that will exude love with their classical rose notes. This sparkling, fruity floral scent with notes of rose and woody vanilla was created for the woman who is passionate, feminine and free. The striking red colour of the bottle captures the essence of passion. When working on the Flowerbomb fragrance, Viktor & Rolf wanted to create something new. They dreamt of a fragrance that had the power to spread a positive message. A profusion of flowers as a weapon to spread the world with beauty and fantasy and to transform the negative into positive. The lush composition of Beyoncé Heat Kissed begins with exotic fruity notes of lychee, mango and pitahaya. Its rich heart includes Red Fury Orchid, Sambac Jasmine and Moroccan Rose Oil. Exotic woody notes of African sandalwood and patchouli are combined with vanilla infusion to create a warm and inviting base. We can’t lie, everyone loves chocolate… but, summer is still here and we’re not quite ready to give up on our New Year’s resolutions just yet. Say no to the sugar and embrace the sweetness through these top scents – perfect for a gal with a sweet tooth. Actually, forget it. Chocolate is too good to skip so pick up a pack of Lindor balls alongside one of the below. “La vie est belle”, a French expression meaning “life is beautiful”; the manifesto of a new era. Lancôme’s femininity is a choice embraced by women, not an imposed standard. The choice to live one’s life and fill it with beauty your own way. La vie est belle introduces a new olfactive story, the first ever iris gourmand. The juice is made with the most precious natural ingredients, a modern interpretation of an oriental fragrance with a twist of gourmand. Discover La Nuit Trésor, a sultry, smouldering perfume for women with notes of fresh raspberry, frankincense and vanilla with a bewitching heart of Black Rose essence. This rich and exquisite women’s perfume was crafted by two master perfumers who combined their craftsmanship to create La Nuit Trésor EDP. Beginning with a burst of delicious raspberry, the notes of a Damascena rose have been enhanced to give the fragrance a deep and mysterious scent. A classic affirming candy heart is adorable, but it’s time to walk the talk and put those “ur cute” notions to practice. Display how you really feel about your love with these candy-scented favourites. Bonbon is a timeless sensation inviting a pure and absolute pursuit of pleasure. This self-indulgent moment belongs exclusively to her. She is empowered, beautiful and complete. Circus Fantasy introduces notes of fruit, intoxicating flowers and creamy musk. Top notes incorporate juicy raspberry zest and apricot blossom. The heart adds blue peony along with lotus and orchid, while base notes include vanilla, musk and violet candy. The fragrance is available in a blue flacon shaped like its antecedents, Fantasy and Midnight Fantasy. Capture the intimacy and excitement of an unforgettable new encounter with the signature Armani Code for Women EDP. The floral fragrance opens with a sensual orange flower note intertwines with fresh ginger accents that give way to a slow honey-sandalwood caress. Whether with cream or chocolate, nothing closes off a romantic dinner better than strawberries. That’s just it though… the end. Keep the excitement going with these gorgeously strawberry scents. You’ll have her indulging in a special treat every day and every night. A new sparkling fragrance inspired by Paris, the city of intense love. Red berries and pear immediately exude sensuality and femininity. The Mon Paris experience is a passionate and unforgettable whirlwind journey through Paris. Rebelle is for women who appreciate warm, spicy accords of cacao and coffee alongside fruity, sweet notes. Its initial notes feature a blend of orchid along with notes of plum and strawberry infused with ginger for a fresh, invigorating scent with a bit of spice. Heart notes of cacao and vanilla infused with almond lead into the rich final notes of musk, patchouli, amber and coffee for a warming fragrance to wear on cool evenings. Justin Bieber Design House launched Girlfriend as a sweet fruity fragrance for women. The scent noted consist of zesty mandarin, blackberry, pear and strawberry, perfectly combined with accords of pink freesia, star jasmine, apricot and orange blossom. Sensual notes of vanilla orchid, luminous musk and white amber complete this sweet flirty composition. This delightful fragrance has been recommended to be worn during the day time. A sophisticated statement, and an irresistible invitation. Peony and rose lend a feminine grace to vetiver and black and white cedars. Evoking mystery, attraction and exquisite desire, Narciso embodies the scent of seduction. Capture the attention of your number one crush when you wear Kiss by Rihanna. 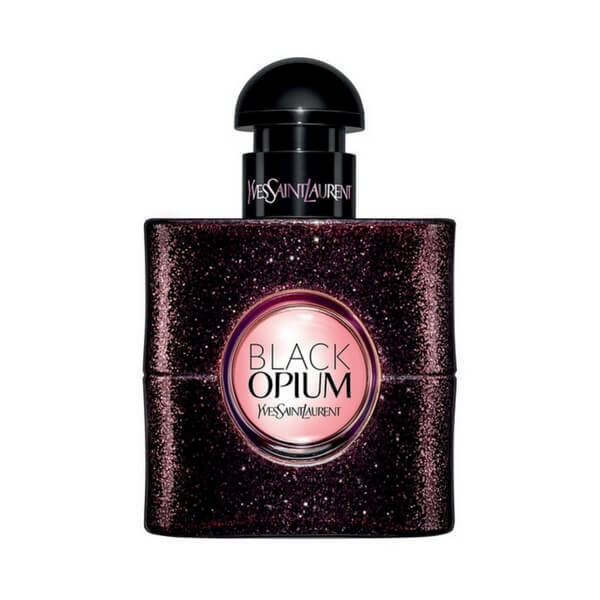 The fun, flirty fragrance is irresistible to men and women alike. The composition begins with vibrant fruits – citrusy neroli and luscious plum clear your mind and lift your mood. A heady note of freesia leads into the floral heart notes; Gardenia, Orange Blossom and Asian Peony infuse the perfume with its alluring sense of romance. Here at MYM, you get to shop now and pay weekly! With up to 10 weeks to pay with MYM Pay, shop bestselling perfume, and pay for your haul over 10 weeks, interest free*! Start shopping today!